Santis is a team of doers, drivers and trusted advisors for the most significant policy shifts in health care over the last decade. 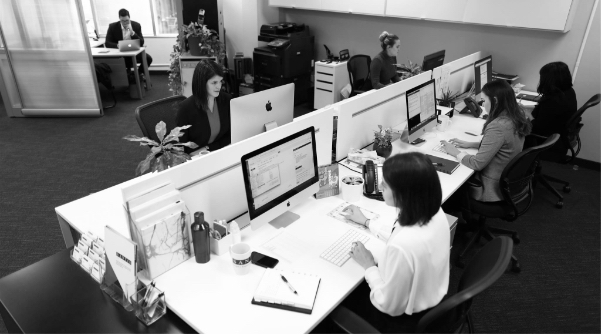 Our team provides clear insights, an unmatched network of relationships and years of direct experience implementing the health system changes that matter to our clients. Melissa provides administrative and coordination support, ensuring the Santis office operates effectively and productively. Prior to joining Santis, Melissa worked on the administrative team at Xstrata Nickel, where she provided secretarial and logistical support to executives and staff, as well as contributed to the development of human resources hiring processes. Following this role, Melissa accepted an opportunity at Richmond Architects Ltd., where she assumed the role of Office Manager. Melissa provided clerical and bookkeeping support, event coordination, as well as assisted in the development of the company’s human resources policies. Melissa obtained an Honours Bachelor of Arts degree in Psychology from York University, where she completed her thesis on the effects of music and learning processes. Dan co-founded Santis in 2012 after serving in a variety of senior advisory roles in the Ontario government. At Santis, Dan provides strategic advice to boards and executives involved in the Canadian health care sector. His clients include Fortune 500 companies, leading national and provincial health care associations, broader public sector organizations, and a range of health charities. During his time at Queen’s Park, Dan served as a senior advisor to the premier, deputy premier and two ministers of health. Dan helped drive forward some of the government’s signature health care initiatives including the Wait Time Strategy, the creation of Local Health Integration Networks (LHINs), primary care reform and physician services negotiations. Dan also worked as a parliamentary researcher in the U.K. for a member of parliament and health critic. His private sector experience includes a stint in the investment banking industry in the United Kingdom, where Dan worked for Goldman Sachs and UBS. Dan is past Chair of the Board at St. Jude Community Homes, a provider of supportive housing for people living with mental illness. He has also served on several corporate advisory boards over the past 5 years. Dan has an MSc. with Distinction from the London School of Economics and a BA Hons from McGill University. He lives in Toronto with his wife and four active (and exhausting) young daughters. What makes our team unique is that we bring together people who care passionately about making our health care system better. That common motivation underpins all that we do – whether we are working on behalf of public sector agencies, health professional associations, or international health care companies. Hannah provides communications, social media and graphic design support to the Santis Health team and its clients. Prior to joining Santis, Hannah worked as a public relations intern at Corus Entertainment where she supported the Global Television publicity team. In this role, she assisted in internal and external communications, event management and media relations. Following the internship, Hannah joined the Movember Foundation, handling their media monitoring and reporting during the height of the campaign. Hannah has a Bachelor of Arts degree in media information and technoculture from Western University, a diploma in radio broadcasting and a public relations postgraduate certificate from Humber College. 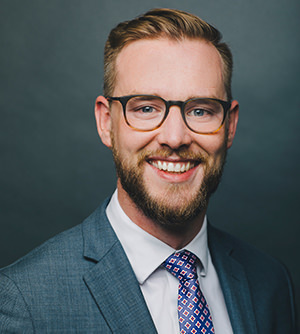 Based in Ottawa, Ian provides strategic support and advice on policy development to provincial and national clients, as well as expertise in government relations, communications, stakeholder engagement and project management. Ian brings a wealth of experience in government working for both political offices as well as the civil service. Prior to joining Santis, Ian served as Senior Policy Advisor to former Ontario Ministers of Health, Dr. Eric Hoskins and Dr. Helena Jaczek where he led a number of files related to long-term care, health workforce planning, health profession regulatory affairs and health promotion. During his time in the Minister’s office Ian developed and implemented key health care policy including Ontario’s Aging with Confidence Strategy for Seniors and the allocation of over 5,000 new long-term care beds, as well as new legislation and regulation to expand the scope of practice of health care professionals. He has extensive knowledge of the complex labour relations and regulatory environment of health care professions, as well as the long-term care sector. Ian holds a Master’s degree in public service from the University of Waterloo, and a B.A. (Honours) majoring in History from Queen’s University. 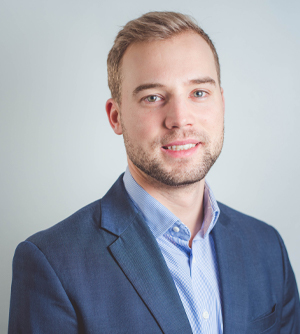 Peter spearheads Santis Health’s Ottawa practice, supporting a wide range of federal, provincial and national clients throughout Canada on policy support, advocacy and public affairs. Peter joined the firm after serving as Director of Parliamentary Affairs for the Hon. Jane Philpott, Minister of Health in the Government of Canada. During his time on Parliament Hill, Peter maneuvered key initiatives through the legislative process including the government’s landmark assisted dying legislation and the successful negotiation of a 10-year health accord agreement with provinces and territories. Previously, Peter has held senior roles for both the Dalton McGuinty and Kathleen Wynne governments, as the Chief of Staff to the Minister of Agriculture, Food and Rural Affairs and as Issues Manager for the former Minister of Health, Hon. Deb Matthews. Peter also served in several advisory capacities for the Minister of Community and Social Services. Peter brings a decade of experience with three different governments to Santis. In just seven years, he rose to Chief of Staff to a Cabinet Minister in the Ontario Government. As a fast-tracked leader, Peter has accomplished national media experience and not-for-profit board experience. Peter has past board experience on the Northumberland United Way Board of Directors and extensive political volunteer experience. He also holds a Bachelor of Social Sciences (Honours) degree with a specialization in Political Studies from the University of Ottawa. Our team of experienced professionals care passionately about making our health care system better. Emmanuel provides policy analysis, communications, research, stakeholder engagement, and project management support to the Santis team and its clients. 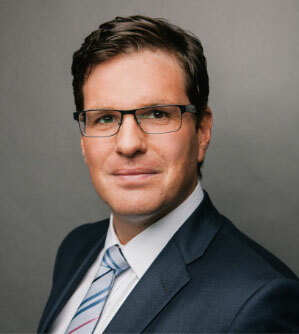 Prior to joining Santis, Emmanuel held a number of policy roles within the Ontario government. Emmanuel has worked as a political advisor in the Minister of Education’s Office where he provided strategic policy advice as well as stakeholder engagement support. As an advisor, Emmanuel also lead successful legislative changes in collaboration with sector partners. Emmanuel also brings experience as a government official having worked as a policy analyst in a number of key ministries including Ontario’s Cabinet Office – Ministry of Intergovernmental Affairs and the Ministry of Health and Long Term Care. During his time at the Ministry of Health, Emmanuel aided in Ontario’s successful negotiation of a 10-year health accord agreement with the federal government, as well as provided intergovernmental policy support on health system challenges in areas such as public health and pharmaceuticals. Emmanuel has a Bachelor of Law and Justice (Honours) from Algoma University, as well as a Master of Public Service from the University of Waterloo. Keltie provides stakeholder engagement, research, communications, and project management support to the Santis team and its clients. 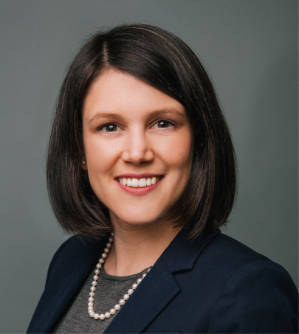 Along with health system and health policy analysis, Keltie’s recent projects include broad stakeholder consultation through interviews, focus groups and surveys, feasibility assessments for community organizations exploring integration, market access support for pharmaceutical products and medical devices, strategic planning support, and research and writing for papers and background documents. Prior to joining Santis, Keltie worked with the operations team at the Ontario Brain Institute, supporting the Industry Relations and the Knowledge Translation and Outreach teams. In addition to managing financial operations for the teams, she was part of the liaison group that built strong relationships with the Ministry of Research and Innovation. 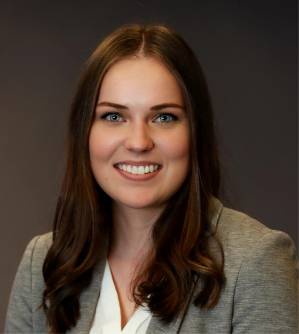 Keltie spent a year at the University of Toronto researching the health of recent immigrants and refugees to Ontario and conducting policy analysis and primary interviews. She holds a Masters of Arts in human geography from Queen’s University having completed her thesis using quantitative and qualitative methods to study the relationships between health and social and material deprivation in the older population in Canada. She has presented her work at conferences in Canada, the United States, Germany, and China. Keltie also completed a Bachelor of Science in life sciences and a Bachelor of Arts in global development studies and music from Queen’s University. She is a current member of the Queen’s University Council, an elected group of alumni who form one of three governance bodies for the University. Jason is a co-founder of Santis Health and has spent more than 20 years working in public affairs and communications, primarily in the health and life sciences sector. 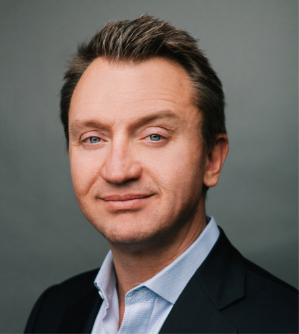 In addition to being part of the senior management team at Santis, Jason leads a broad array of client accounts with government relations, policy, communications and other needs where he draws on his experience in government, as a senior hospital leader and his 12 years as a consultant. 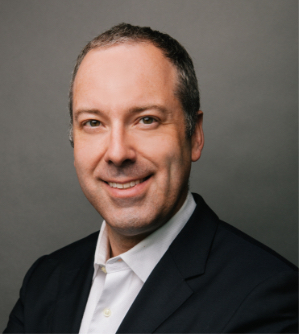 Prior to launching Santis, Jason served as Vice President and National Director of Health Policy for the Canadian division of a multi-national communications and government relations consultancy. In that role, Jason served as a bridge between the company’s health care communications group and its government relations team. Jason was also part of the senior management team of the Wellesley Central Hospital, where he worked as Director of Public Affairs and then, as Transition Director where he worked closely with the hospital board to identify a new mission and vision for the organization. In the public sector, Jason has served as chief of staff to Ontario’s minister of health and, previously, as senior health policy advisor to the Leader of the Opposition. Jason has also years of experience working within the Government of Canada where he served as a political advisor on the staff of former federal health minister, Diane Marleau and, subsequently, in the offices of the minister of public works and at transport. Jason was a member of the board of directors and vice-chair of Casey House, a 13-bed public hospital focused on meeting the needs of patients with AIDS, often along with other serious comorbidities and additional challenges requiring specialized care. He studied political science at Huron College, University of Western Ontario, where he also served on the University Senate, Chaired the University Community Centre Directorate, and was a Vice President of the University Students’ Council. Jonathan brings senior strategic counsel and decades of executive and advisory experience to Santis. For seven years, Jonathan served as the CEO of the Ontario Medical Association, gaining significant exposure to all facets of the health care system. Upon his arrival, he worked with the board to initiate and implement a Strategic Plan designed to cover the fundamental issues facing the OMA. Based on the plan, the board implemented a major governance realignment, and a communications and public affairs strategy (implemented by Patrick Nelson), which guided the Association’s approach in two rounds of negotiations. Jonathan was also responsible for the turnaround of the OMA subsidiary, OntarioMD, which placed Electronic Medical Record (EMR) technology in the hands of over 11,000 Ontario physicians. Prior to his tenure at the OMA, Jonathan ran the Credit Union Central of Ontario for over twelve years, where he envisioned and engineered the merger with BC Central Credit Union to create the pan-Canadian Central1. Prior to that he served as a lawyer and diplomat in the foreign service. 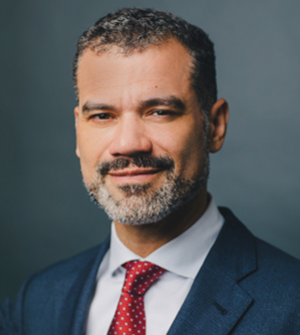 Jonathan has also served on numerous boards, including the University of Guelph, the Harvard Alumni Association, Credit Union Central of Canada, OntarioMD, the Institute for Quality Management in Healthcare, a trust company and two insurance companies. He was Chair of the University of Guelph’s Health for Life initiative and is chair of Board of the Pine River Institute. Jonathan has a law degree from the University of Toronto and a degree in economics from Harvard University. Joanne is a Principal at Santis Health. 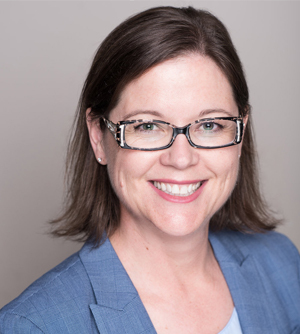 Prior to joining Santis, Joanne served as the Chief of Member Relations, Advocacy and Communications at the Ontario Medical Association (OMA), the voice of Ontario’s physicians. Over two years, Joanne has led the OMA’s communications, government relations, issues, media, member communications, marketing, policy and public affairs strategies and implementation. She spent three years as the Executive Director of Strategic Projects at the University of Western Ontario where her role included government relations, communications and advocacy. Joanne also worked for government, at the federal and provincial levels for 15 years. In the provincial government she was Legislative Assistant and volunteer Campaign Manager for the Minister of Training, Colleges and Universities. Federally, Joanne held increasingly senior roles across the government, including Chief of Staff to the Ministers of Heritage and International Development and was Deputy Chief of Staff to Prime Minister Stephen Harper. Joanne has volunteered her time as a member of the St. Joseph’s Health Care Foundation Board as well as being cross-appointed to the St. Joseph’s Hospital Board, in London, Ontario. She was a member of the King’s University College Foundation Board. In addition, she has held voluntary roles with the Epilepsy Support Centre and the Children’s Hospital Foundation. She continues to volunteer her time and energy to political causes and parties. Joanne studied Political Science at King’s University College, an affiliate College at the University of Western Ontario. We pride ourselves on developing a tailored plan to help you achieve measurable, lasting outcomes. Lily provides communications services, government relations, and stakeholder engagement services to clients and the Santis team. 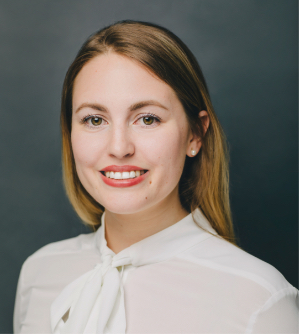 Prior to joining Santis, Lily brings several years of experience in communications, policy analysis and stakeholder relations working as a Legislative Assistant to Tim Hudak, the former Leader of the Official Opposition, and Executive Assistant to MP Alex Nuttall. During her time at Queen’s Park, she produced five Private Member’s Bills and federally, she worked on files pertaining to Sports-Related Concussions as well as Industry, Science and Technology. Lily has worked on countless political campaigns at all levels of government, with positions ranging from communications and strategy to CFO and campaign management. She also brings in marketing and business experience where she regularly launched branding campaigns by creating websites and advertisements, while also performing profit and revenue retention analyses. Lily has an Honours Bachelor’s degree from the University of Toronto. She is also currently completing her Canadian Securities Course. She is a current member of Mental Health Research Canada (MHRC). 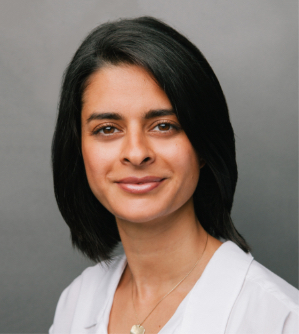 Anjali Misra’s recent projects include current state reviews of primary health care in Thorncliffe Park, Toronto and seniors’ crisis services in the City of Toronto, economic impact analysis of investments in Ontario’s biotech innovation sector, and evidence-based analyses of gaps and opportunities in Ontario’s primary eye care system. For over 10 years Anjali has held progressively senior positions in health services research and health care policy settings. She has focused on evaluation and the use of analytics to inform health care plans and resource allocation decisions. Anjali seeks to improve the quality, effectiveness and sustainability of programs and services. Anjali was the Manager of Performance Management at the Association of Ontario Health Centres from 2009 to 2011. There she provided strategic guidance and technical expertise at the provincial level to augment Ontario’s Community Health Centres performance management and quality improvement capabilities. She represented community-based primary health care on various pan-Canadian and provincial advisory groups including the Canadian Institute of Health Information Pan-Canadian Primary Care Indicators Advisory Group, MOHLTC’s Primary Healthcare Planning Group on Quality, and the LHIN Collaborative MSAA Performance Indicators Strategic and Technical Working Groups. 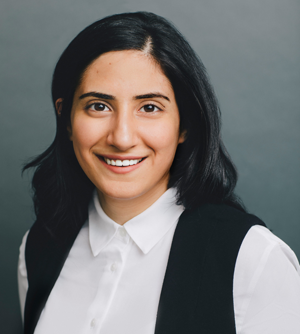 As a Senior Epidemiologist at the Institute for Clinical Evaluative Sciences, Anjali worked closely with biostatisticians, clinicians and scientists, assessed best practices, and studied national/provincial data holdings to develop a variety of metrics to evaluate health system performance. Her findings were published in QMonitor, Health Quality Ontario’s annual public report on the performance on the health care system. Anjali has trained in evaluation design for complex health interventions and has a yellow belt in lean sigma. She has a Masters of Science in Health Policy, Planning and Finance from the London School of Hygiene and Tropical Medicine and the London School of Economics. When Anjali is not crunching numbers or leading key informant interviews, she is playing with arts and crafts and scouting new vegetarian recipes. She lives in Toronto with her partner and two energetic kids. At Santis, Patrick helps health care organizations adapt to the changing health care environment, influence government policy and improve their engagement with members and stakeholders. Patrick has expertise in strategic communications, government relations, public affairs and board governance. Prior to joining Santis, Patrick served as the Executive Director of Public and Corporate Affairs at the Ontario Medical Association (OMA), the voice of the province’s 34,000 physicians. Over almost ten years, he led the OMA through several strategic communications campaigns, a comprehensive governance review, as well as a major rebranding of the organization. Under his tenure, member satisfaction with the OMA doubled to a record high and, over the course of a five-month advocacy campaign, the profession witnessed a remarkable 12 per cent increase in public trust. Patrick also worked in senior communications roles in the Ontario government, as an aide to Ontario’s Minister of Health and as Director of Communications to the Minister of the Environment and to the Minister of Education. Patrick volunteers his time as a member of the Board of Directors and Co-Chair of the Client Services Advisory Committee at ALS Canada. He also served for six years on the Board of Trustees at the Hincks-Dellcrest Centre, the largest children’s mental health treatment facility in Toronto. During that time, Hincks-Dellcrest presented him with an Award of Appreciation for his work in receiving additional funding from government to support mental health services for kids. Since 2014, Patrick has also served as the Executive Director of the Canadian Association of Physician Assistants. Veronica provides research and policy analysis, communications, stakeholder engagement and project management support to the Santis team and its clients. 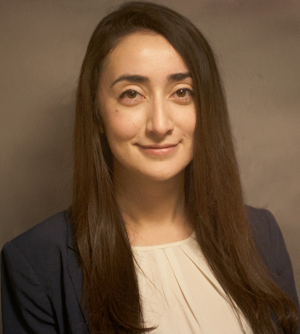 Veronica has extensive skills and experience in research and policy analysis, and stakeholder outreach and management. Prior to joining the Santis team, Veronica worked as a policy advisor in the Deputy Minister’s Office at the Ministry of Tourism, Culture and Sport. During her time at the Ministry, Veronica led a diverse range of policy files and provided recommendations to senior management related to the Ministry’s priorities and stakeholder issues. Veronica also worked on multiple teams at United Way Greater Toronto. At United Way, Veronica assisted in scoping and developing new initiatives for future investments, supported the organizational strategic planning and implementation of the strategic plan, as well as worked with key partners to advance the organization’s research and public policy agenda. Veronica holds an M.A. in political studies, and a B.A. (Honours) majoring in political studies with a minor in global development studies from Queen’s University. Veronica has also completed the research analyst postgraduate certificate at Humber College. Veronica volunteers for a number of community and international development organizations, providing research, strategic planning and grant review support. Macrina provides communications, social media, research, and project management support to the Santis team and its clients. Prior to joining Santis, Macrina worked as a policy advisor for ServiceOntario in the Ministry of Government and Consumer Services. During her time at the Ministry, Macrina worked directly with stakeholders and partners to improve vital events service delivery. As an advisor, Macrina also led several Indigenous files providing support to the Ministry’s commitment to Truth and Reconciliation. Macrina also brings experience in health systems change having worked as a Research Analyst with the World Health Innovation Network (WIN). During her time at WIN, Macrina assisted in developing supply-chain management tools aimed at decreasing medical error in hospitals across Canada. Her research was also focused on analyzing innovation procurement models; exploring barriers to value-based purchasing in Ontario’s health sector. Macrina holds a Master’s in Public Policy and an Hon. Bachelor of Arts with a major in Media Studies and minors in Writing and Rhetoric, and Semiotics and Communication Theory from the University of Toronto. Our team has extensive experience across the entire Canadian health system: as leaders within the public system and as executives in associations. Joining Santis in 2014, Ross brings more than 15 years of experience in public affairs, corporate strategy and journalism. In his role, Ross helps companies and organizations working at the intersection of healthcare, life sciences and innovation overcome strategy and policy challenges. Most recently Ross was the Director of Government Affairs and Corporate Responsibility at AstraZeneca Canada (AZC), one of Canada’s leading innovative pharmaceutical companies. Ross was responsible for all public policy and government relations. He led a national team of colleagues and directly supported three CEOs in their government engagement and stakeholder outreach efforts. Prior to joining AZC, Ross spent nearly four years as the Director of Strategic Partnerships at the MaRS Discovery District, the innovation incubator and urban science park in downtown Toronto. One of the organization’s first full-time employees, Ross built strong ties with all three orders of government, developed a global network of commercialization collaborators and launched the organization’s social innovation initiative. 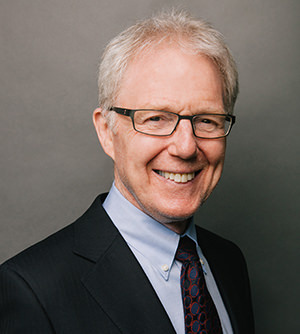 Ross’ experience includes work for the Institute for Competitiveness and Prosperity at the University of Toronto and “Corporate Knights” magazine, Canada’s leading voice for corporate social responsibility. He also spent five years working in Washington, DC – first at the Embassy of Canada and then at the G7 Group, a political and economic forecasting company. Beyond his work at Santis, Ross advises the Institute for Health System Solutions and Virtual Care at Women’s College Hospital on public policy, strategy and stakeholder relations.